The Srebrenica Lobby in Serbia launched yesterday a stealth campaign to pressure the Serbian Parliament to adopt a resolution about the “Srebrenica genocide” that allegedly took place in July 1995. The proposed resolution is scheduled to be presented to parliament for a vote following “fast track” procedure, designed to be completed in time for this year’s Srebrenica anniversary ceremony on July 11. Obviously, the timing was designed to ensure that maximum emotional pressure is put on parliamentary deputies, while giving them a minimum of time to hold an informed public debate on the underlying Srebrenica issue. This year’s resolution proposal is a replay of a similar attempt made in 2010 which resulted in a partial gain for the Lobby. They were frustrated, however, in attaining their ultimate goal of making Serbian parliament declare that what happened in Srebrenica was genocide for which Serbia was bound to suffer grave political, economic, and moral consequences. As a result of vociferous public protests and the debate which ensued once the terms of the proposed resolution in 2010 became widely known, parliament was compelled to strike the word “genocide” from the text and to express itself in more guarded terms concerning the controversial issue. The result did not serve the desired objective of tainting Serbia and the Serbian people with the stigma of genocide, which was the resolution’s political purpose to begin with. The Srebrenica Lobby has apparently reached the conclusion that now the time is ripe to try again. Lessons were learned from the 2010 experience and the plan for the next couple of days is to not give Srebrenica resolution opponents sufficient time to organize or parliamentary deputies who are so inclined a reasonable opportunity to study the matter more closely. 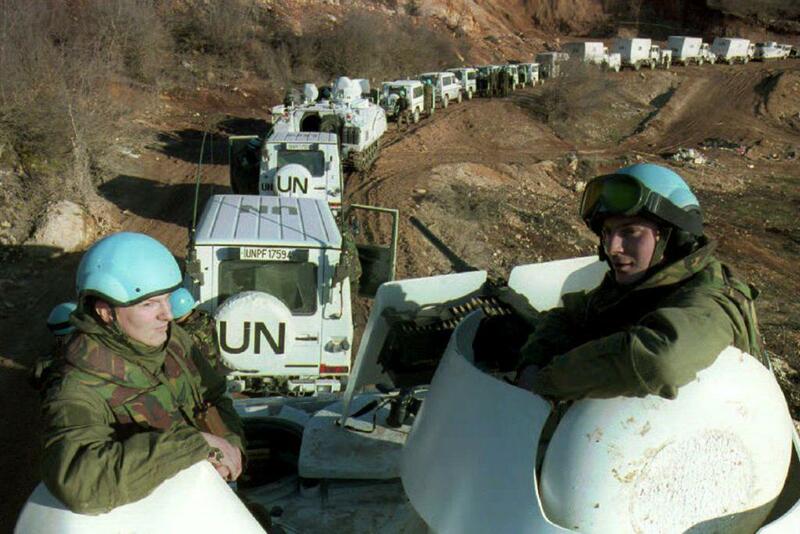 The Srebrenica resolution that is being introduced and rammed through the Serbian parliament now follows closely the pattern set by the Great Britain’s Srebrenica resolution introduced in the UN Security Council last year that was vetoed by Russia. Both put heavy stress on the allegation that what occurred in Srebrenica was genocide and link that crime to Serbia and its people. As we have stressed continuously over the years, Srebrenica genocide has nothing to do with the facts of what actually happened or sympathy for the innocent victims who were executed. It is a thoroughly politicized affair which serves an agenda having nothing in common with the interests of Bosnian Muslims and having everything to do with inciting enmity between the Muslim and Orthodox inhabitants of the Balkans. The objective is to push them into mutually debilitating strife, with the Western-NATO alliance dominating over both in the strategically important Balkans and plundering their resources in the process, while cynically playing one side off against the other. The proposed resolution in the Serbian parliament, classifying Srebrenica as genocide and implying that Serbia (and by extension the Serbian people) played a role in that false flag operation, is part and parcel of this insidious agenda. The public learned about the proposed resolution only yesterday because it was deliberately kept under wraps until the last possible moment in order to ensure its stealth passage in parliament. However, now all available resources must be mobilized to call for a transparent public debate in Serbia about what happened in Srebrenica and what Serbia allegedly had to do with it. Deputies in parliament are paid their salaries in order to make informed decisions on behalf of their constituents, not to allow themselves to be manipulated by political pressure. In order to make sure that the Srebrenica issue is properly considered and debated, we need your help. Serbian people highly regard the opinion of qualified foreign observers. We are therefore asking you to take a few minutes and write a mail expressing your view of this matter. Is it the business of the Serbian parliament to pass politically inspired resolutions about Srebrenica, thus taking the onus for this crime on behalf of the Serbian people as a whole? Is it correct and in line with provable facts to call what happened in Srebrenica a genocide? Is it proper to ambush a country’s parliament on an important issue such as this without allowing sufficient time for a full and unfettered public debate? Please fill in the fields for your name, email, and comment. Then click on the blue button (ПОШАЉИ) and your comment will be delivered to the deputies in the Serbian National Assembly. You may write in your own language. Your comments will be of critical importance in helping Serbian parliament members before they vote to make an informed and responsible decision about this very important resolution. If you can do that and you give us your permission, we will share your views with the Serbian public who need to know that concerned people throughout the world are also opposed to the politicizing of Srebrenica and frivolous attribution of responsibility to Serbia and the Serbian people for a ghastly crime that they did not commit. We thank you very much for your time and assistance in ensuring that Srebrenica is given proper consideration in the Serbian parliament.